Agile is not a process, it’s a mindset. 25 years ago, I joined a company which at that moment was already quite successful, and on the verge of a major breakthrough. Some of you might know the company, Baan, which was probably the biggest Software Company in the Netherlands at that point of time. At some point I was heading most of the development and was particularly busy in integrating all the products from other software companies that had been bought over, into the core product. Trying to build one monolithic product, that would achieve operational excellence for the customer. The concept of solving all the operational issues of a company by one monolithic platform however does not make a business agile. 15 years ago, I joined another company Cordys, that was set up by the same core group of people that had built Baan. We had realized that Operational Excellence alone, no matter how well achieved, cannot bring you business agility. The world had moved on and more and more fast innovation cycles were the true need of the day. Cordys platform was setup specifically to bring agility on business level to its users. Maybe we were ahead of our times, the adoption was initially lower than we had expected. Since then things have changed to the point that it is no longer a latent need to become business agile, but a necessity to make the transformation fast, otherwise one is simply too late. 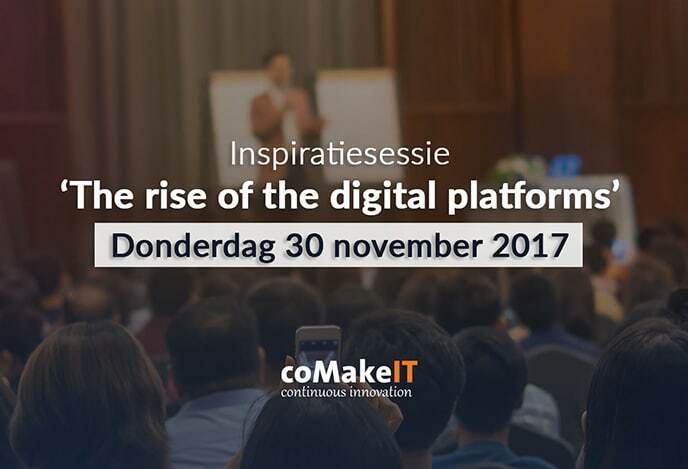 10 years ago, we started coMakeIT to see if we could help companies to become business agile, driven by software. 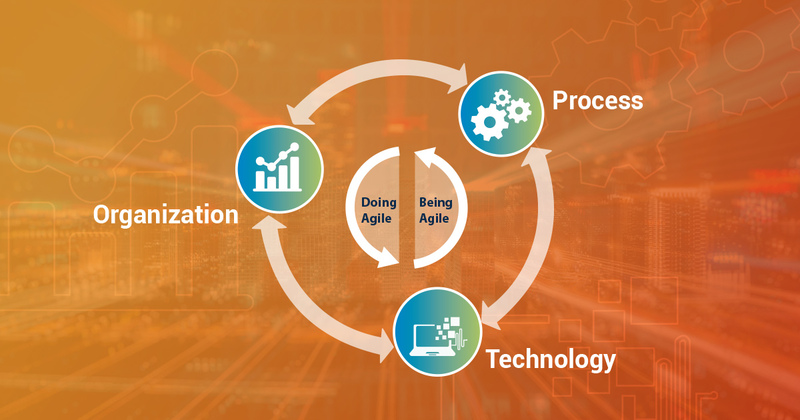 In this line of work, agile is often used to refer to a set of practices and methodologies that a business adopts for its software development processes. In this blog, I want to broaden the horizon and explore what being truly agile means in today’s digital environment? In a traditional sense doing agile is a set of activities. But being agile is a state of mind and refers to a broader set of organizational and technological capabilities of a business. That is what I refer to as business agility. The critical challenge that must be addressed is: in a disruptive landscape, how can you achieve true business agility? Even though digital disruption is sometimes an overused cliche, it is real and widespread with a huge impact on multiple facets of our lives. It is safe to say that no business is immune from its reach, and in many industries, entire value chains are disrupted to the core. Change is something that we are used to dealing with in this modern world, but perhaps what is unprecedented is the perfect storm of disruptive forces, all striking at once: exponential technologies, new business models, and changing regulations. And trust me, dealing with this trio of disruptive forces is not an easy thing and businesses need a holistic strategy to deal with these challenges and leverage opportunities. For some businesses this software-centric vision is already a reality, and for others it is an aspiration. 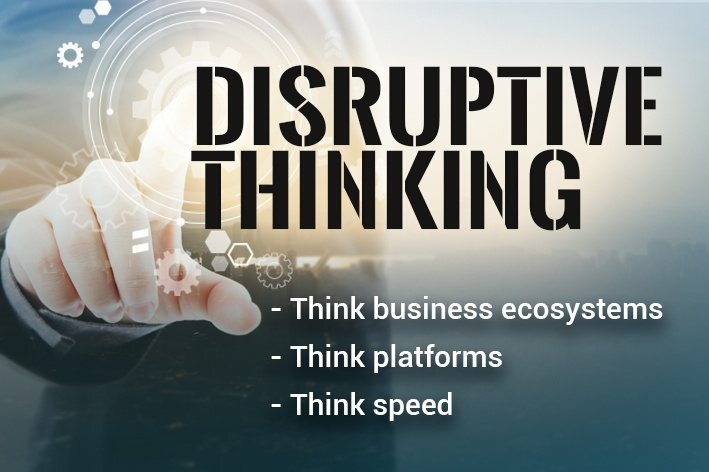 In either case, any business that looks beyond merely surviving, and aims to thrive in the digital landscape and leverage new opportunities must deal with challenges posed by different facets of disruption. We can broadly classify these into three drivers & enablers, namely business, technology, and regulatory. To effectively deal with these drivers and enablers, every business must fundamentally transform every aspect of their business. You must be asking yourself, this sounds good, but, how do I transform into a truly agile business? I neither have the technology skills nor the product development expertise. Don’t worry, you don’t have to do it all by yourself. Being agile also means that you should collaborate with partners who offer complementary skills & expertise that you need. I would like to introduce co-Creation, a paradigm that offers precisely this kind of collaborative product development. You must understand that co-Creation is not another creative word for outsourcing. It’s not a project-driven initiative, but product-centric. It’s not outsourcing, but a collaborative approach to product development. At coMakeIT, we have the perfect platform to support co-Creation. 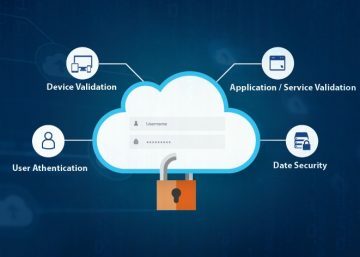 We have productized our accumulated best-practices and product development expertise into TOP CloudTM, a unique platform for co-Creation of software products. To conclude, true business agility demands a product-centric mindset, a collaborative approach and end-to-end transformation of all facets of a business.